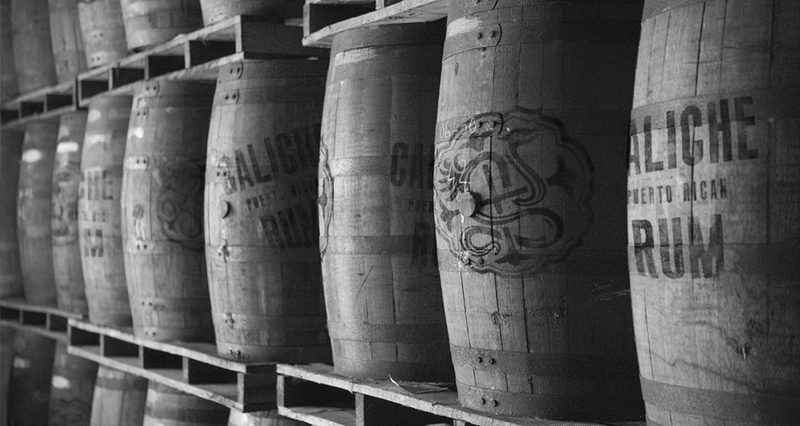 Creators Rande Gerber and Roberto Serrallés introduce Caliche Rum. It's been six generations in the making exclusively from the Serrallés Family Distillery, the birthplace of premium Puerto Rican rum. Drink Caliche Rum and discover why the Serrallés family produces more than 65% of the rum consumed in the Land of Rum. The name "Caliche" comes from a type of limestone. It's a sedimentary rock that cements other materials together including gravel, sand, clay and silt. Caliche is found worldwide, particularly around Destilería Serrallés in Ponce, Puerto Rico. 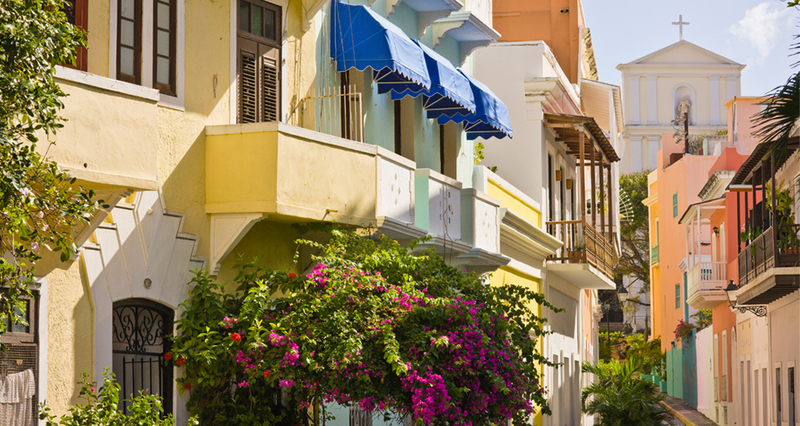 Puerto Rico is known throughout the world for its excellent rum. 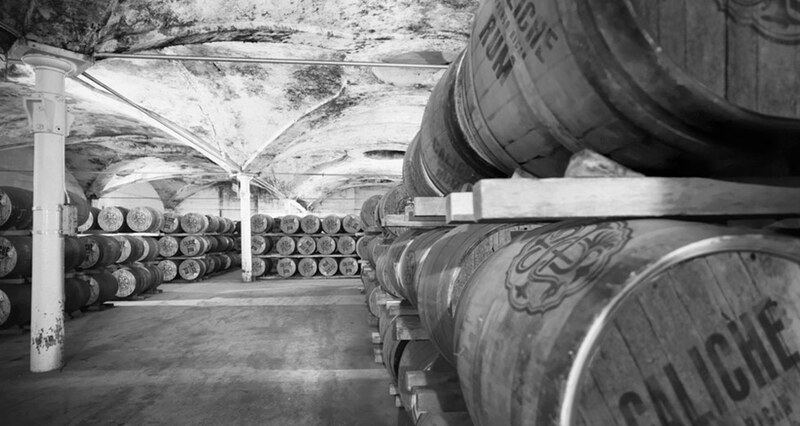 The noble tradition of producing the most refined and exquisite rums is an art that has been cultivated for more than 154 years by Destilería Serrallés, the birthplace of Puerto Rican rum. 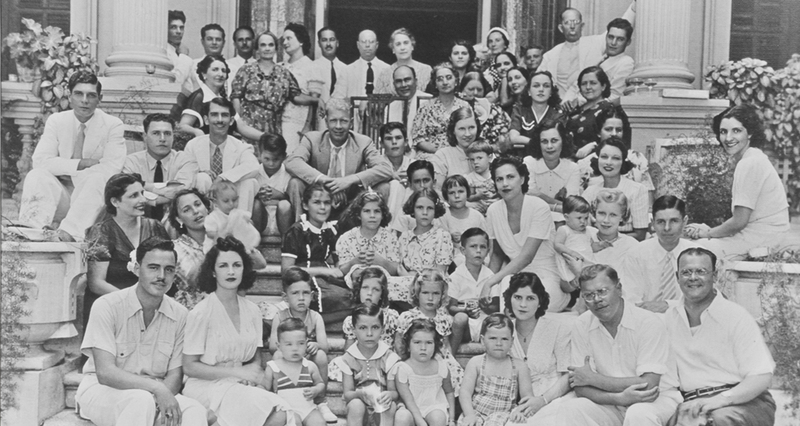 The Serrallés story began in 1865 at the Hacienda Mercedita sugar plantation, near the city of Ponce, of Puerto Rico's southern coast. That year, Don Juan Serrallés, the son of a Spaniard who had settled in the area, produced his first few casks of rum using a copper still he had imported from France. Currently, the Serrallés manufacturing process is characterized by a multipledistillation system and carbon-active filtration, which produces a clean, pure rum. The artisanal aging in American white oak casks and careful blending are exclusive recipes of the Serrallés family that have been perfected through six generations. White rums are usually not aged. Caliche has FOUR different aged rums (3,4,5 and a small portion of Solera - 3 stacked layers of barrels) which add a particular character aroma and depth. A blend of the finest Caribbean molasses is chosen. 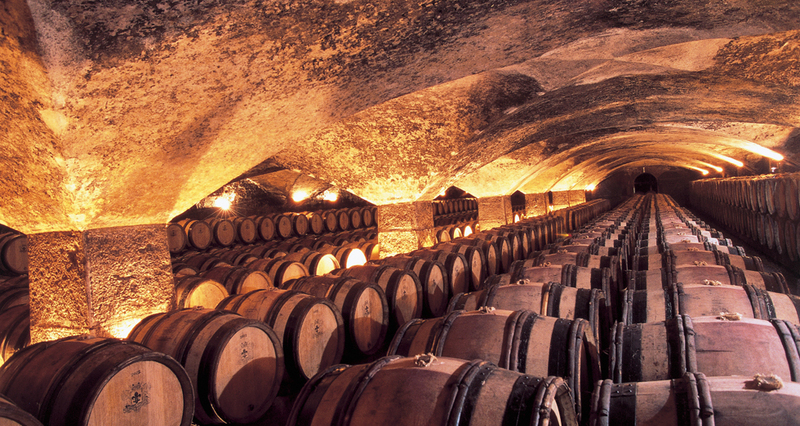 We use a proprietary selection in a short fermentation cycle which produces a cleaner alcohol. 5x distilled for purity and balance. Treated with special charcoal blend to remove color build up during aging. Clean balance of vanilla flavor with a hint of oak followed by notes of caramel. Perfect on the rocks with a splash of lime. Blends well with standard mixers, in any rum cocktails and artisanal drinks. With an enthusiasm rivaled only by our passion for quality, we've invested significant time, knowledge and resources making our distillery one of the cleanest and greenest in the spirits industry. Not only do we reap the benefits of real-energy return and useful post-production materials, we get to do what's best for the people and wildlife of Puerto Rico. We approach sustainability as the challenge of finding ecologically responsible solutions within the context of an economically viable enterprise. Our waste reclamation program not only allows us to maximize our production capacity, but also provides valuable energy return and cost reductions in the form of Biogas, electricity, service water and industrial products that we can sell to other businesses. All the while, we do what's best for the vibrant ecosphere of Puerto Rico and the Caribbean Sea. 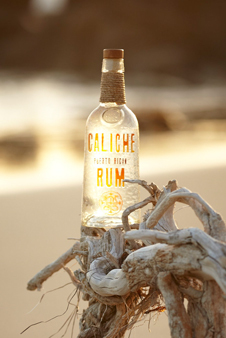 Caliche Rum is the creation of two men: one from an iconic yet humble rum producing family heritage, the other from the exciting and dynamic world of nightlife. 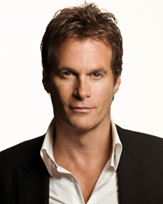 Rande Gerber has always been on the cutting edge of the nightlife industry. As the founder of influential nightlife companies Midnight Oil and The Gerber Group, he has been influencing the trade and general public for years. Rande created the hotel bar concept with The Whiskey Bars. He continued with his companies' other brands including The Penthouse, Midnight Rose and Stone Rose. Through Rande's consumer knowledge, his ventures have fashioned an iconic lifestyle that include cool, chic and classic properties with modern glamor. 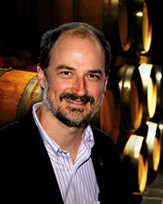 Roberto Serrallés serves as Vice President of Business Development for Destilería Serrallés, one of America's oldest owned and operated family businesses that has been producing fine Puerto Rican rum for more than 146 years. The rich heritage and values of the Serrallés family provide the foundation by which Caliche Rum was produced, with a strict adherence to the highest quality standards of craftsmanship that have driven and maintained their family credentials for more than a century. Distilled, aged and bottled by Destilería Serrallés, Inc. in Ponce, PR and distributed by Serrallés USA. Stamford, CT.
© Caliche Rum. All rights reserved.